A Beary Tale is close to Dollywood, Wonderworks, The Island at Pigeon Forge and much more! VIEW NOW. The cabin was nice & clean The staff was helpful with directions & activities to attend while in the area. We are fascinated with the cabin! It’s clean and everything works. The jacuzzies are spectacular. We got enjoying the two both. We found it easy with the map that Bugs Aunt gave us. Just only one recommendation: get better the locked door. It was complicated for closing or opening. Our stay was just great, we enjoyed every minute of it. It was our first time renting a cabin like this, and we would do it again given our stay this time. We enjoyed our stay very much. The people we checked in with were very friendly and our cabin was perfect! Over all was a nice stay. This rental was a very nice, open floor plan cabin. It was a little difficult to find at first as the GPS simply stated we had arrived and there was no cabin! However, this cabin is nicely arranged with two other cabins in the same strip. Tasteful but funky decor and nice layout. 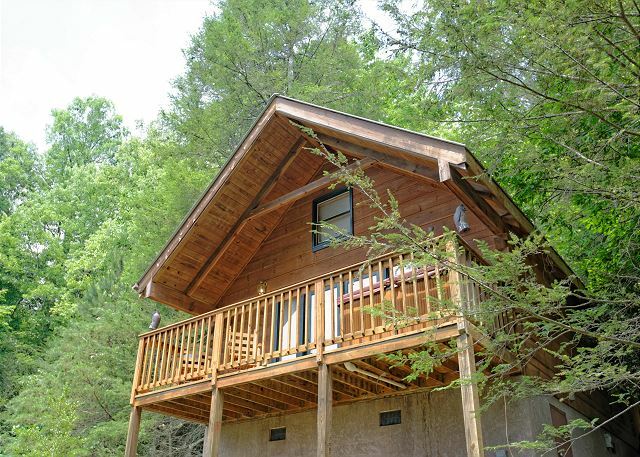 Great location, approximately 4 miles from Downtown Gatlinburg and a simple drive to and from the cabin. Cabin was clean and had extra towels ready and basic plates, mugs, glasses, and utensils. TWO PROBLEMS however...the hot tub on the deck was UNUSABLE due to a huge amount of either chlorine or cleaner and the smell did not go away; also, only two jets in the tub actually worked. Other jets DID NOT. The Jacuzzi tub inside was fine however lack of water pressure took it a while to fill. I did leave a voice mail for Aunt Bugs but got no return phone call about the hot tub. Overall, with great views and a working Jacuzzi, the stay was enjoyable. Reservation was Easy, Cabin Location was great, Cabin was very cozy and clean. Had a Great Mini-Vacation and would definitely stay with Aunt Bug's Cabins again. We had a Wonderful Experience. Loved the Express Check-In and Check-Out. Thank you Aunt Bug's for everything. Can't Wait to Stay Again!!!! My wife and I really enjoyed our stay. Gorgeous views, but don't plan on walking anywhere, but that's OK. Nice cozy, relaxing place to come back to after driving to all the attractions in Gatlinburg. A really nice, romantic cabin for our anniversary getaway! We loved it and will be coming back. The rental was a bit difficult to find in the dark but after we found it it was a breeze to find for the rest of the stay. The cabin was comfortable and well-equipped. I loved the indoor jacuzzi and the hot tub outside was equally amazing, including a nice view of the mountains. There were two cabins close by on each side, but we never really felt like there was an issue with privacy. My only suggestion would be to have more lighting on the stairs entering the cabin, we never found a switch to turn the light on and went up and down them in the dark a few times. We are younger so it wasn't too much of an issue, but I can see it being a problem. Had a great stay at a cozy little cabin on an anniversary trip for me and my wife. Cabin was in a good location, felt secluded, but not too far out of town. We had a very relaxing time in the mountains of Gatlinburg. Cabin was awesome. Enjoyed the peaceful surroundings and spring sounds of nature making their way back to the warmer weather. It was my granddaughters first time in the Smokies so I wanted everything to be perfect and it was. The cabin was very nice and the perfect size for just the two of us. It was just the right distance from downtown & the trolley stop was very close. The cabin was clean & aunt bugs whole staff was wonderful. All in all we had a perfect spring break! The vacation was awesome. The room and the amenities were top notch. Everything was just AWESOME. Only thing that could have been better was the whirlpool, The water flow was very slow and we could not get hot water to fill in the whole whirlpool tub. The location is good although not exactly what I expected its in somewhat of neighborhood the directions to the cabin could be stated a little clearer in the map that they give you but in all its great priced for what it is and perfect for a couples getaway located close to horseback riding and Gatlinburg with a grocery store right down the road. My best friend and I stayed one of the Aunt Bugs cabins named 'Wild Thing' for 2 nights. The cabin was beautiful! We especially loved the hot tub! All of the staff was wonderful and knowledgeable about the area! I highly recommend having dinner at the Greenbriar Restaurant. Amazing meals with incredible prices!!! The mattress was our only complaint. It has to be 20+ years old and was very uncomfortable. The cabin was clean and as described. With as many people rent this place throughout the year and as much as it cost, they should be able to buy a new mattress. It was really disappointing. Rental process went smooth. 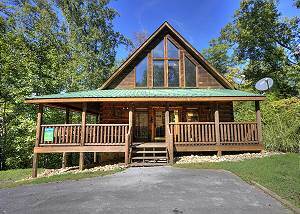 Property was convenient (short drive) to Gatlinburg. We really enjoyed our stay. Had a great time went for the weekend and all was good. Only thing that was not was the Jacuzzi tub didn't work. We loved the location and planning on staying there again we will for sure give you guys a call when we do stay but although I left my iPhone charger but it's okay we had a fabulous time!! Overall good only problem was photo of outside didn’t match. Just had knee surgery would have chosen different cabin if I knew about the 30+ steps. Very good! Overall it was our first experience renting a cabin. You did an awesome process by giving us in detail what need to be done. You were professional and very kind. Thank you! Very pleased with the location and decor of the cabin, and had a great "welcome home" feel with plenty of towels and the bathrobes. Great views as well! One HUGE NEGATIVE...the hot tub only had two jets working, others would not work at all...and there was an extreme amount of either chlorine or cleaner that made the hot tub UNUSABLE. Thank goodness for the Jacuzzi...water pressure to fill it was painfully slow, but at least it was nice and cozy once filled. Please note, I did call and leave a voice mail regarding the hot tub after 9am on Saturday morning but DID NOT receive a call back...the hot tub issue, which I have seen posted about this cabin before, should be fixed...and not returning a guest's phone call is not very professional. Other than these two issues, I was pleased but would be hesitant to recommend to friends and family who do travel to the Smokies. Everything was perfect--the location, the cabin itself, and the experience! Will definitely be staying again!! Really enjoyed the stay . Was clean and quiet. Everything worked and was easy to use. We were very pleased with the cabin, however, we were disappointed with the exorbitant extra fees and the checkout time was rather earl. We would not stay again simply for the fact that we paid $75 more than expected that were not disclosed. We had an amazing time! Loved everything about our stay! 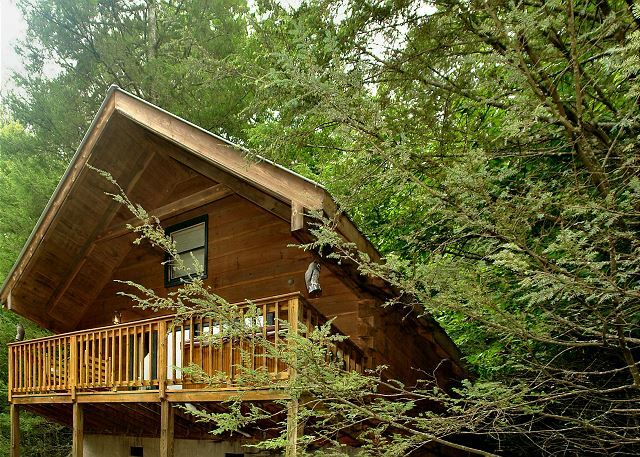 This was the first time my wife and I rented a cabin like this and we would definitely do it again. The first time we tried to use the toaster it did not work, we called the office and they replaced it with a new one. A great experience. .
Great experience with Aunt Bug's. Friendly staff, great app, and a very clean and comfortable cabin. Our stay was amazing. Great. Nice quiet place. The drive wasn't far from where we wanted to visit. Enjoyable stay. Everything was very nice. Aunt Bugs was very helpful for a 50th wedding anniversary gift. The cabin was well equip and very nice. Loved the hot tub and jetted bath. The fireplace was also very relaxing. I hope to book with you all again very soon! Excellent. The checkin process was easy, directions were accurate and easy to follow. Staff is curteous and helpful. The cabin was fantastic, well kept, well supplied. It was a great experience. It was very nice. We thoroughly enjoyed the entire experience. Cabin was nice along with location. Carpet however needed repaired as well as stove top. Hot tub was nice but not very private. We had a great time. Everything was great, we'll be back. The cabin was what I expected it to be and ck in was just as pleasant. Staff was excellent. Cabin was very nice. It was a perfect vacation for my granddaughter's first time in Gatlinburg. We had a wonderful time. The cabin was really nice. I will definitely use you guys next time. 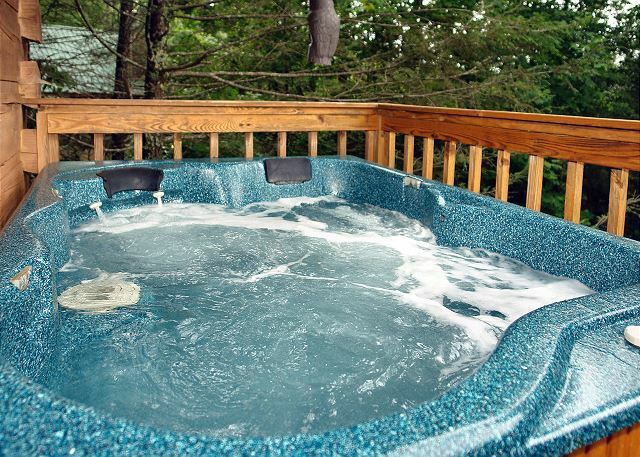 My only complaint is that the hot tub was on the front and the way I saw the pictures of the cabin I thought it was on the rear. But it's a good thing it was up front because we where in the hot tub when we had a bear come up to the back door. I'm not sure who but someone put food stuffs in the little silver tin can in our drive way and the bear was in it. Then he came up to the back door and pushed on it a little. Scary stuff.